You are here / South Africa Travel News / Attractions / Struisbaai or Blue Lagoon? Now reading: Struisbaai or Blue Lagoon? I have a very fond memory of swimming in a lagoon ten years ago. Not only found because I was ten years younger but also because the surrounding were so exquisite. Basically it was like being in The Blue Lagoon. Ten years later I may have changed, but the Blue Lagoon hasn’t. It’s real name is Struisbaai and it’s well known for the longest continuous stretch of white sand coastline in the Southern Hemisphere. 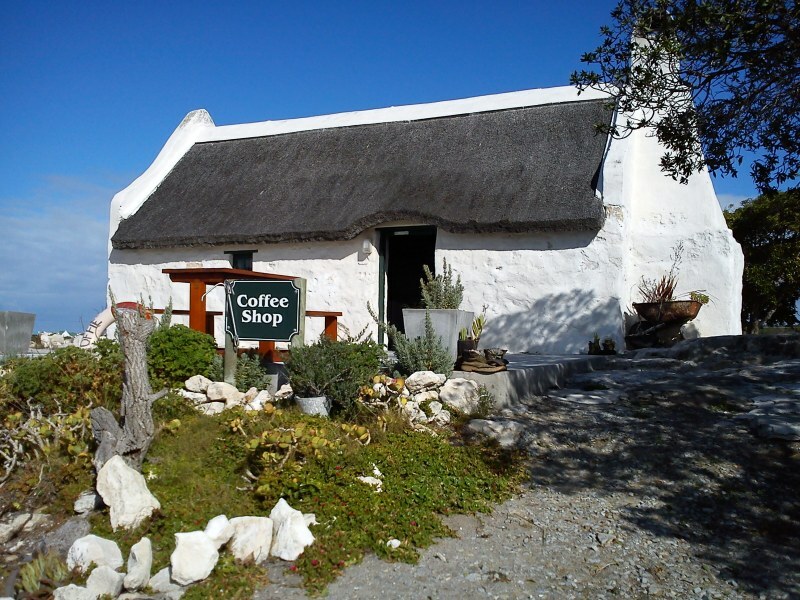 It’s also only ten minutes from Cape Agulhas, the southernmost tip of Africa. Struisbaai is as close to a tropical paradise as one can get with its exquisite white sand beaches, crystal clear water and little fishing boats. Your first stop after the drive should be Pelican’s Harbour, an awesome little seafood restaurant serving fresh fish. Sitting on the deck, with the water lapping a few feet away from us at the harbour’s edge, you’ll be mesmerized by the picturesque scene of locals bartering with the fisherman for their daily catch. 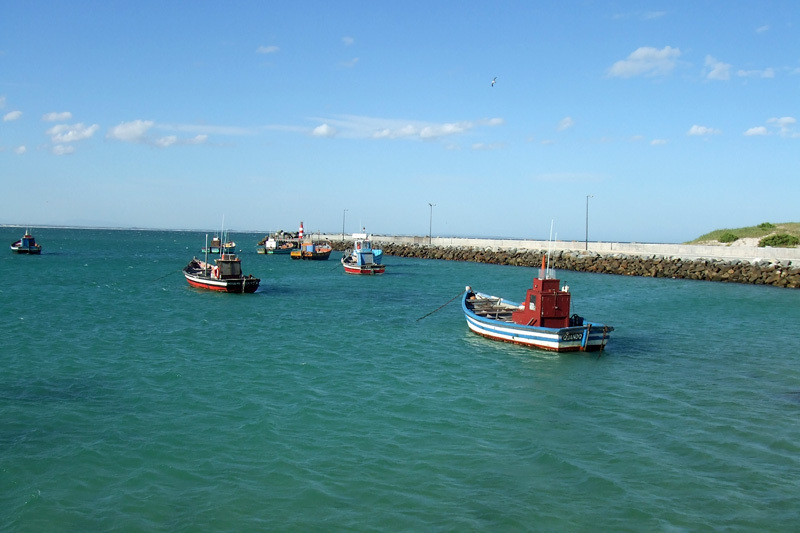 Originally built in 1959 Struisbaai Harbour serves local fishing boats as well as ski boats for visitors in holiday season. 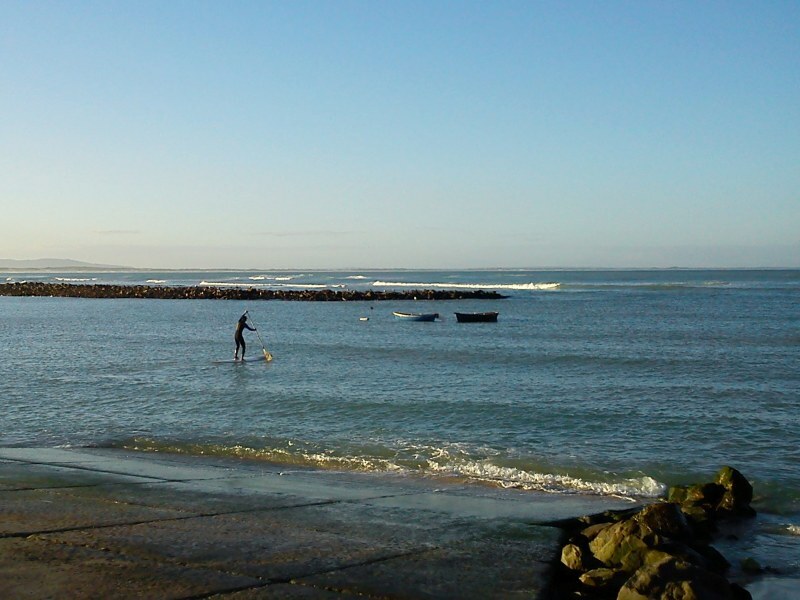 With your belly’s bursting, you should set out with one goal in mind: to make use of all that Struisbaai had to offer. Struisbaai is home to the highest concentration of Southern Right Whales so be sure to look out for these placid giants. Sit on a boat in the Struisbaai Harbour and enjoy watching the enthralling site as they mate and calve during May to December. 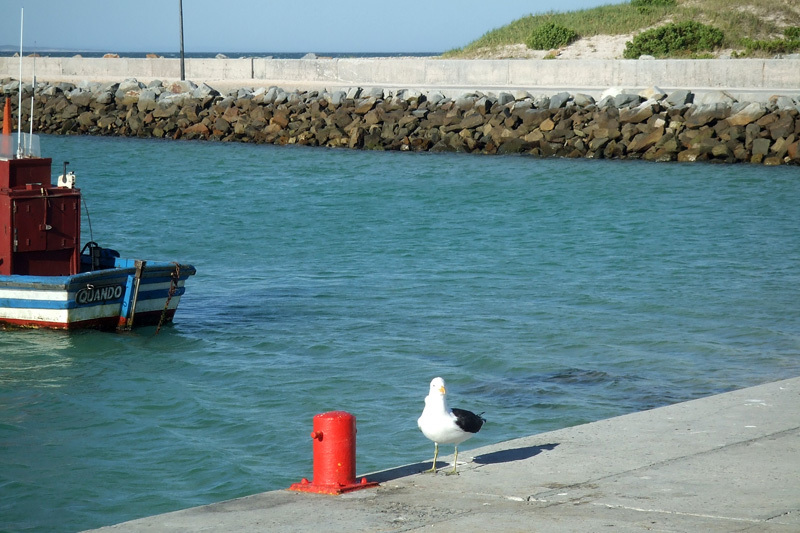 Land Rover tours are available along the coast of L’Agulhas and Struisbaai. Local tour guide Riaan Pienaar will amaze even the most well-informed of people with his vast knowledge. On route is the shipwrecked Meisho Maru, a Japanese fishing trawler, as well as old khoi khoi homes, with their ancient fish traps made of rocks. Hopefully you’ll also be lucky enough to see an oystercatcher, a rare species of bird. If you have the time, take a day trip to De Mond Nature Reserve. Offering picturesque hikes along coastal sand dunes, De Mond is not only beautiful it is also rich in birdlife. Keep an eye out for rare species like the Damara tern and the African black oystercatcher. The reserve, lying at the mouth of the Heuningnes River is also an ideal spot for fishing. Home to many species of animals, the only notable predator is the caracal. Never fear it is not often seen and you are far more likely to see grysbok, steenbok and grey duiker. A bit further along, the De Hoop Nature reserve is well worth the drive. Take a mountain bike and enjoy the meandering trails with its abundance of diverse fynbos, vegetation, wildlife and birdlife. 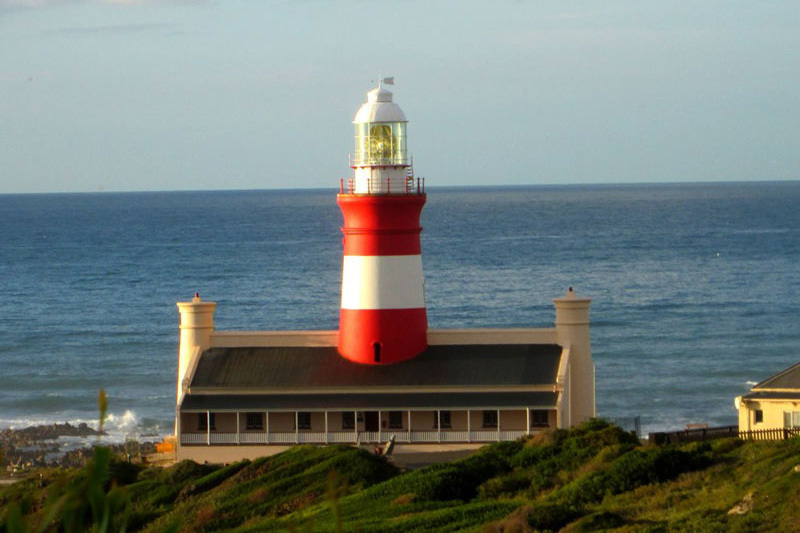 If you’re an avid hiker hike the De Hoop Whale Trail. Neighbouring Struisbaai, Hotagterklip is an old fishing village. Having been declared national monuments, the historical white washed fishermen’s cottages have been beautifully restored and are well worth a visit. The name Hotagterklip (meaning left hind stone) originates from the ox-wagon era. When a stone became entrenched in the middle of the road, the left hind ox had to haul very hard to get the wagon pole to pass to the left of the stone.